The Valdinievole region, a green valley close to Pistoia, is a land rich in healing mineral springs, known and used since ancient times. 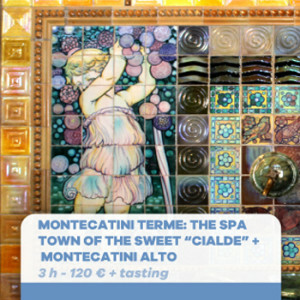 The renowned spa towns of Montecatini Terme and Monsummano Terme, with their numerous spa resorts, are the ideal places for thermal and healthcare treatments, as well as relaxing and rejuvenating holidays. 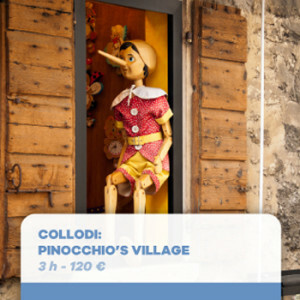 The Valdinievole area is also the land of Pinocchio: to this great fantastical long-nosed character who came from Carlo Collodi’s pen is dedicated the Pinocchio Park, to be discovered together with the nearby Garden of Villa Garzoni and the impressive Butterfly House. The whole area is also dotted with beautiful ancient churches and lovely small villages, such as Buggiano Castello, Colle di Buggiano, Massa, Cozzile and Montecatini Alto, which offers a wonderful view over the whole valley. Come to discover the beautiful treasures of this green land with us!